Tim "Tank" Casterline began his experience in music production and recording in the early 90's. He studied composition and experimental music at Texas Tech University, returned to Austin and founded TLC Recording in Cedar Park, Texas in which he produced projects for many years while also doing on-location live sound/recordings for various projects. Tim has been playing bass for over 20+ years and toured Texas and beyond with more than 500+ touring gigs under his belt, and he has recorded on many albums in about any style imaginable from 3-piece jam rock to Texas blues, southern/stoner rock to metal, alt-country, folk and beyond. Tim has been a member of Austin bands, The Dealers, Stooch and Ironclad and also toured with the Shawn Fussell Band. He's currently a touring member (bass player/backgrounds) of Mark McKinney's band. He was also a touring member of M.O.D. (Billy Milano's Method Of Destruction, which you may recall from critically acclaimed albums, S.O.D. or MTV videos). Tim has been working closely with Eric McKinney and all aspects of Wonderland Studios since 2007. He has engineered/produced some fantastic CD's that have been well received and created quiet a buzz in central Texas for such acts as The Dealers, Stooch, Ben Baxter Band, The Instigators, Tom Meny, Jonas Lorence, Radio Fallout and many others. 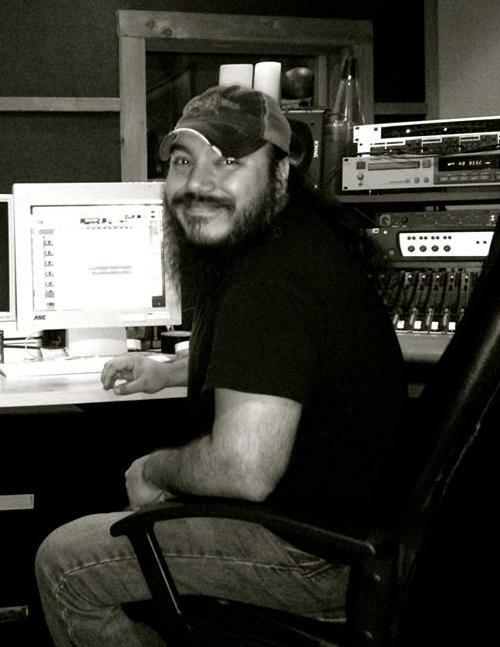 Eric McKinney (Owner of Wonderland Studios) is an in-demand engineer/producer, creative songwriter/composer, multi-instrumentalist/programmer, artist consultant and manager with a long list of credits including working with many top Texas artists and session players. 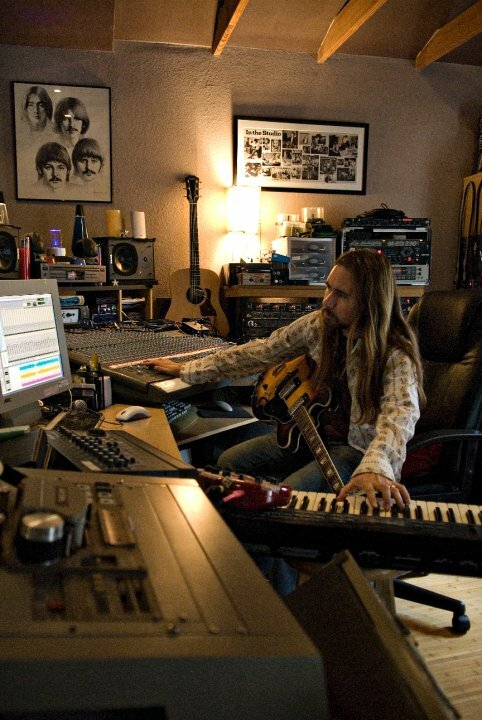 He has been credited as a producer, engineer or studio musician on well over 500+ projects. Eric has co-produced and/or collaborated on projects with such world-renowned music industry veterans as Grammy-Award winning producer/musician Lloyd Maines, Multi-Platinum award winning producer/composer/songwriter Scott Mathews, and producer/feature film-tv composer/songwriter Mike Datz. Eric has also co-written with such incredible songwriters as Billboard chart-topping writer Brad Crisler and Texas top-charting songwriter/artist Mark McKinney, as well as many other great upcoming songwriters. Eric co-produced Mark McKinney's 2013 Texas Evolution Music release (Standing My Ground) which scored two number one's (and five top 10's) on the Texas Music Chart and Texas Regional Radio Report and extensive radio play throughout the southwest region of the U.S. Many albums produced by Eric have garnered signifigant radio-airplay and charted throughout the U.S. and Europe. Furthermore, Eric has contributed articles to music industry publications, judged talent competitions, and he's a graduate of The Recording Workshop (Recording Engineering and Music Production Program). He previously worked for a marketing/research/consulting company, and Anderson Merchandisers, L.P. (a NARM Nominee, and one of the nations largest music distributors), in which he assisted representatives from EMI Music, Sony BMG, Universal Music and WEA Corp with strategic marketing, placement, in-stores (autograph parties) and special projects. Over the years, Eric has established a long list of clients, friends and connections within the music industry. Eric has been a crucial asset and essential team-member in regards to either assisting, providing consulting services or further developing many artists which have become well-known throughout the Texas scene in recent years (for further info see - TexasTimeArtistServices.com). Eric also toured for over 2 years (200 plus shows) as lead-guitarist with Mark McKinney and the Cosmic Cowboys who gained four top-10 songs on the 2007/2008 Texas Music Charts during his performance tenure, was featured on GAC and CMT and opened shows for such charting artists as Kevin Fowler, Randy Rodgers Band, Wade Bowen, Cross Canadian Ragweed, Eli Young Band, Stoney Larue, Trent Summar, Reckless Kelly, Joe Diffie, Miranda Lambert, Jack Ingram and Trent Tomlinson. Eric has toured over the years racking up 1000+ live performances, among such bands as Kick City, The McKinney Brothers, the Cosmic Cowboys and the Colin Gilmore band. Miriam McKinney (Co-Owner of Wonderland Studios) has been doing admin, book-keeping, and organizational aspects for the studio for many years now, as well as some voice-over and percussion aspects for various projects. She was born and raised in Austin, TX and a graduate from the University of Texas at Austin, attends almost every SXSW and ACL Festival, and has spent many nights watching live music all around town, always scouting for great new artists. After several years of working in Austin with a research/marketing/consulting company, she went to Atlanta to get her Master's degree at Georgia Tech, one of the nation's most respected universities of advanced science and technology. While in Atlanta, Miriam was a member of the Georgia Tech Drumline and she contributed to a notable research project and paper for the university covering the supply chain of the music industry. The project/paper included such components as marketing strategies, promotional channels, music distribution, manufacturing, contracts, trends, projections, online music, case study of an emerging artist, music industry revenue and how artists and/or record companies make money in this industry. Upon returning to Austin, she married her best friend Eric McKinney, and has been involved in one way or another with virtually every aspect of Wonderland Studios. Miriam is also a musician (drummer), also works for the University Of Texas and previously a Radio DJ at WREK, Atlanta.